Palisade Fence also called Euro Palisade Fence, Palisade Fence Panels,Steel Fence. Palisade fence panels is a new type of guardrail, very popular in foreign countries. Widely used in high - grade residential areas, high - grade villas, industrial parks, substations and other important facilities fence protection. This product does not have the welding Europe type guardrail manufacturer, all is connected by the bolt screw and becomes, low carbon environmental protection beautiful generous! The components of palisade fence include: steel plate pressure fence, the crossbeam used to connect the fence - Angle iron and supporting columns - i-steel. Connect all parts with anti-theft accessories, more anti-theft performance! Common specifications of palisade fence include: height: 1000 mm-3000 mm width: 1000 mm-2750 mm our factory can design the most reasonable size specification for you according to the customer's requirement. Palisade fence panels surface treatment: hot galvanized and electric galvanized + plastic spraying. Hot dip galvanizing is the process of forming a layer of metal zinc on a surface by chemical reaction. The coating capability of hot galvanizing is good, the coating is compact, no organic matter inclusion. High corrosion resistance of hot galvanizing, it can be exposed to air directly. Electric galvanizing + plastic spraying is the process of forming a uniform, compact and well bonded metal or alloy deposit on the surface of the parts by electrolysis. Due to poor corrosion resistance of electric galvanizing , a layer of plastic is sprayed on the surface after electric galvanizing to meet the requirement of high corrosion resistance. The characteristic is the color diversity, black, white, red, blue, green and so on color, the appearance is beautiful. The standard Palisade Fence Panel is constructed from hot and cold rolled steel sections supplied for assembly on site. Palisade Fence Panels consist of 17 vertical pales manufactured in "D" or "W" profile with a choice of tops. Powder Coated Palisade Fence can provide different colors, such as blue, yellow, green, white, etc. Pales-W section: W Shape Palisade is the most useful vertical type of Palisade Fencing, which is always the customer` first choice for pales. Palisade fencing is strong, durable and fulfil many demanding roles. It is regularly used around industrial units, civic amenities, schools and other such applications where security is a major concern. The security level of palisade can be increased by increasing the height of the fence, increasing the number of pales per panel, increasing the thickness of pale, adding a concrete plinth. 1) Fence Panels: Plastic film then wood/metal pallet. 2) Post: Each post pack with a plastic bag (the cap is covered well on the post) then metal pallet. 3) Accessory: Small plastic bag then carton box. 4) There is 4 metal packing tape to keep the pallet more stronger. 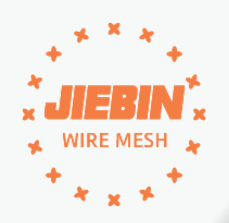 Jiebin is a professional manufacturer of kinds Wire Mesh Fence Products. Such as Welded Mesh Fence Panels, Temporary Fence, Security Fence, Palisade Fence, 358 Fence , etc. Any interest or need, please contact us freely for more details. Looking for ideal Euro Palisade Fence Panels Manufacturer & supplier ? We have a wide selection at great prices to help you get creative. All the W Shape Palisade Fence Panels are quality guaranteed. We are China Origin Factory of W Shape Galvanized Palisade Fence. If you have any question, please feel free to contact us.